The final episode of Wild France was broadcast at 8:00PM on Monday 15th August on ITV1. If you missed it, you can now watch it online via the ITV Player for a limited period of time by clicking on the image above. Ray visits the rugged West Coast of Brittany. He heads out by boat to discover the nearby islands. On his journey he gets up close to bottlenose dolphins when they come swimming up to his boat. This entry was posted in Ray Mears and tagged bottlenose dolphins, Brittany, ITV, ITV Hub, ITV Player, peregrines, Ray Mears, television series, Wild France on August 15, 2016 by Woodlore Limited. Episode five of Wild Australia was broadcast at 8:00PM on Monday 30th May on ITV1. If you missed it, you can now watch it online via the ITV Player for a limited period of time by clicking on the image above. In this episode, Ray heads along the Great Ocean Road, which runs along the Antarctic-facing coast of Australia, the longest South-facing coastline in the world. This entry was posted in Ray Mears and tagged ITV, ITV Player, Ray Mears, Television, watch again, Wild Australia on May 24, 2016 by Woodlore Limited. Episode four of Wild Australia was broadcast at 8:00PM on Monday 16th May on ITV1. If you missed it, you can now watch it online via the ITV Player for a limited period of time by clicking on the image above. 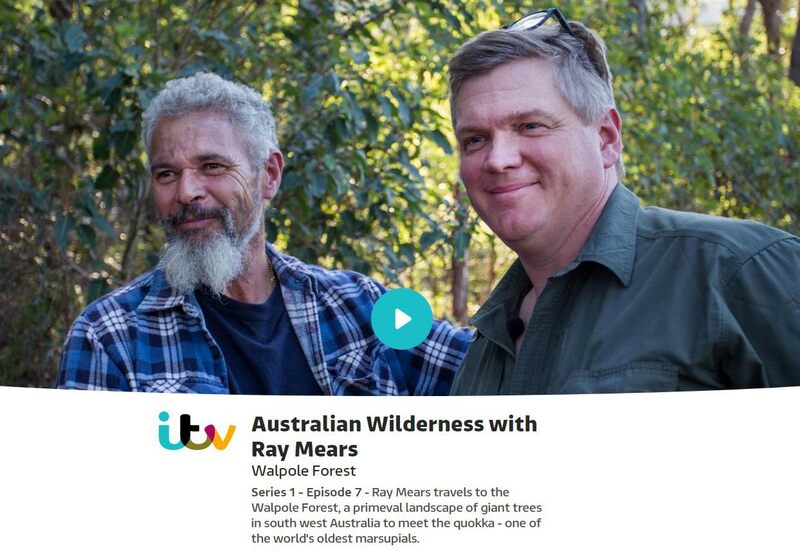 In this episode Ray is in Australia’s tropical rainforest, in the Wet Tropics, on the north-eastern coast of Australia. It’s the oldest on the planet, so old it stretches back to the time of the great supercontinents. This entry was posted in Ray Mears and tagged ITV, ITV Player, Martin Hayward Smith, rainforest, Ray Mears, watch again, Wild Australia on May 13, 2016 by Woodlore Limited. Episode three of Wild Australia was broadcast at 8:00PM on Monday 9th May on ITV1. If you missed it, you can now watch it online via the ITV Player for a limited period of time by clicking on the image above. This entry was posted in Ray Mears and tagged duck billed platypus, ITV, ITV Player, Kangaroos, online, Ray Mears, watch again, Wild Australia on May 6, 2016 by Woodlore Limited. This entry was posted in Ray Mears and tagged ITV, ITV Player, Ray Mears, watch online, Wild Australia on April 29, 2016 by Woodlore Limited. This entry was posted in Ray Mears and tagged Australia, Great Barrier Reef, ITV Player, online, Ray Mears, watch, Wild Australia on April 26, 2016 by Woodlore Limited.